Melissa Dennihy: Academics who have recently been on the job market know that “job season” can actually extend over several seasons. Job ads often begin appearing in the fall, but first- and second-round interviews may not take place until the winter or even the following spring, and new positions may also become available during those months. This ongoing job season requires a lot of preparation, as well as the use of skills that can be practiced and honed as you apply for jobs. Start reading and studying job ads on a daily basis. Get a sense of the types of jobs that are out there, the qualifications hiring committees are looking for and the skills and experiences you might bring to the forefront in cover letters for different jobs. 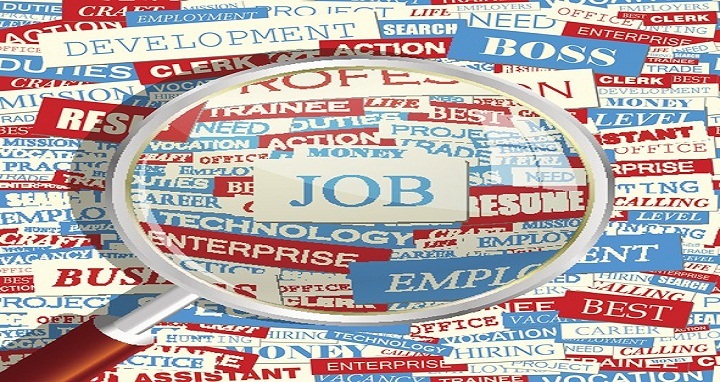 Looking at job ads might also give you new ideas about your own marketability: you may find that you are qualified for jobs in departments or interdisciplinary programs other than the one with which you are currently affiliated. As you peruse job openings, think realistically about which jobs might be the best fit for you, but also try to keep an open mind. Avoid limiting yourself only to those types of institutions or positions you consider ideal. You may want a position at a prestigious research institution in a major city, but there are only so many of these jobs to go around. Being open to other possibilities will increase your chances of landing an interview, at which time you can learn more about what a position and institution may have to offer. Begin drafting material for cover letters. You can start doing this even if you haven’t yet found any job openings in your area. (In fact, you can start doing this before job season has even started.) Job letters should always be tailored to specific positions and institutions, but many applicants find it efficient to work from a master letter that can be modified, adjusted or expanded for different job applications. Start by drafting paragraphs about your research and publications, teaching interests and experience, and record of service and collegiality. You may not use each of these paragraphs in full (or at all) in every letter, but you’ll probably need at least some of this material for every letter you’ll write. As you draft, avoid clichés and platitudes, provide detailed and concrete examples, show relevance, and continue to polish each paragraph as you develop and revise it over time. Make time to practice talking about your research and teaching. It’s hard to learn how to talk effectively about yourself and your work, especially if you are a graduate student trying to learn how to present yourself as a potential colleague. You’ll want to start practicing this early in the job season, ideally by arranging mock interviews with advisers or other faculty members in your program. But you can also make a habit of practicing on your own, even if it’s just talking through potential interview questions and answers while you are doing things such as exercising, cooking or cleaning. If you are invited to interview for a position, you may be given very little notice and may not have as much time to prepare as you would like. While it’s not possible to know everything you’ll be asked in an interview, you will certainly need practice in talking about your research and teaching, so it’s never too early to start working on that. The more comfortable and proficient you are in discussing these topics, the easier it will be to respond to a variety of interview questions if and when the time comes. If you are invited for an interview, you may want to bring along a teaching portfolio, especially if you are interviewing at a teaching-focused institution, such as a small liberal arts college or community college. But compiling a teaching portfolio can be time-consuming, so it’s wise to do this early on in the job season rather than scrambling to put something together in the days before an interview. For those with extensive teaching experience, consider the documents and data you already have available and how they might be used in a portfolio. Take some time to crunch the numbers and to review your teaching materials: how many courses and sections have you taught? Approximately how many students have you worked with? Read through past student evaluations and peer observation reports of your teaching and select a few representative samples for your portfolio. Review your course syllabi and assignments and choose one or two that best speak to your teaching practices and classroom pedagogy. If you don’t have any teaching experience as of yet, you might still develop a teaching portfolio by including a teaching philosophy as well as sample syllabi or assignments -- anyone can design such materials even if they haven’t yet had the chance to use them in the classroom. Ask a trusted adviser or former instructor to look the materials over and offer suggestions. Use job materials to further your dissertation-writing process. If you are still finishing up your dissertation as job season approaches, avoid neglecting the project. Instead, use your job materials to help you clarify and put the finishing touches on your dissertation. As you begin drafting cover letters and research statements for job applications, you will need to figure out how to explain your research in concise and effective ways that may have eluded you throughout the unwieldy process of dissertation writing. Use the writing in your application materials to help you improve and refine the writing in your dissertation.